Flowerwell was built on a dream of merging locally grown flowers with artfully curated floral design. 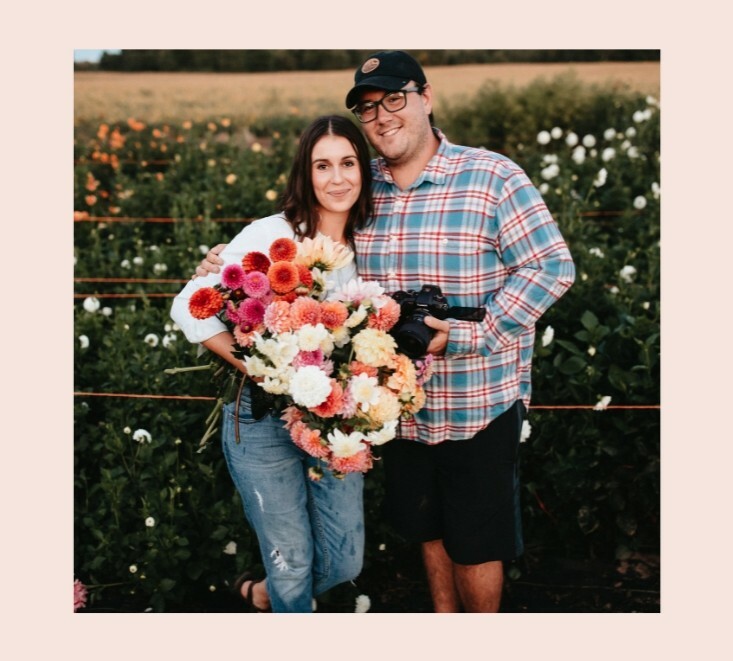 Established in 2015 in the countryside of Rochester, NY, owner and founder Jenny Rae Siplo set out to provide a creative approach to both the wedding industry and growing cut flowers commercially. As a result, Flowerwell has become an ever-growing farm that focuses on colors, textures, and heirloom varieties of specialty flowers and foliage. Flowerwell was built on a dream of merging locally grown flowers with artfully curated floral design. 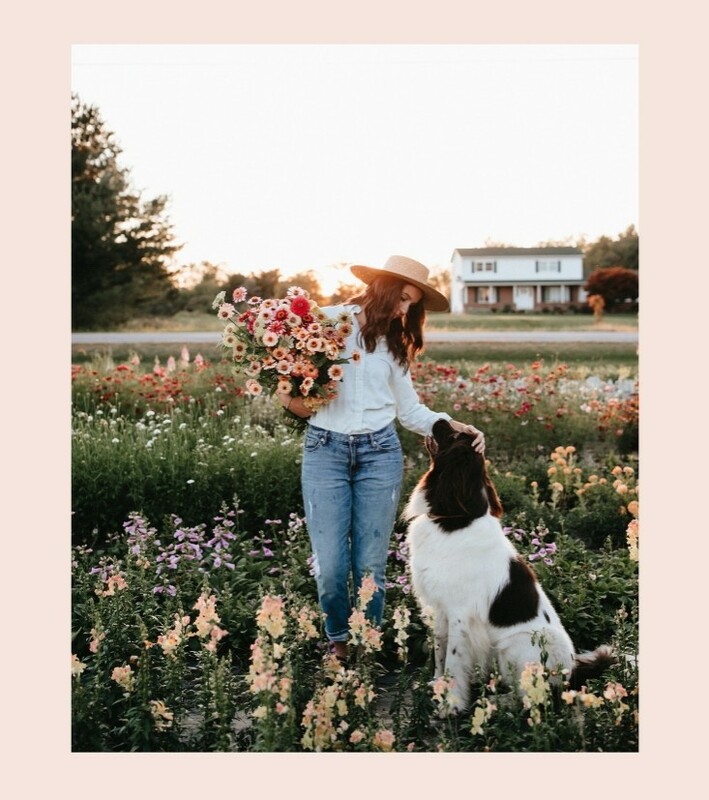 Established in 2015 in the countryside of Rochester, NY, owner and founder Jenny Rae Siplo set out to provide a creative approach to both the wedding industry and growing cut flowers commercially. As a result, Flowerwell has become an ever-growing farm that focuses on colors, textures, and heirloom varieties of specialty flowers and foliage. Our design work is distinguished by our specialty blooms being incorporated in a modern, garden-inspired, floral design style. We are known for the one-of-a kind floral experience that we provide and our passion for everything involving flowers. I dreamt about what it would be like to become a full-time farmer-florist many moons ago. That dream became all I could think about, even when I had no land, no experience, and was living out of an apartment. In college, I explored languages and art, but deep down knew I was being called to nature. It was almost like there was an unseen force that knew the outside was where I needed to be. I don’t come from a family of farmers, but I grew up gardening with my Mother, While gardening and farming are very different, my time in the garden laid the foundation for me to become the farmer and floral designer that I am today. To say that I love flowers isn’t enough. They give me life. They feed my soul. They make the challenging task of farming worth it. They provide the creative inspiration and energy for the beauty that is our floral designs. My aim for Flowerwell is to always share this overwhelming joy and passion with you. My hope is that you grow to appreciation and love our locally grown flowers as much as I do. Oddities: I’m an old soul (everyone tells me that). On a free summer Sunday you will most likely find me antiquing or puttering in the vegetable garden. I can’t choose a favorite flower because it feels like I am choosing between children. The Thousand Islands are a second home to me. I love a good book, a hot cup of coffee, and the quiet of the countryside. I would be hard-pressed not to mention Maple. Maple is a Newfoundland and she is our proud farm dog. She is loved quite possibly as much as our flowers by our customers, Instagram followers, team members, and friends. Whenever I am outside, she is not far from my side. Her farm dog skills are growing but currently include scaring away geese, jumping over the flower rows, carefully walking by flower buckets and being a foster Mom to feral kittens. Maple enjoys making new friends (both human and animal alike), finding frogs in the garden, and turkey meatballs. Shaun Swanson is my significant other, the pea to my pod, the sanity to my flower-filled, adventure-seeking, life. He is often busy being a partner in running his full-time video production business, Filmwell Studios. While Shaun has yet to find his true love for farming, he is a major help in tackling large Flowerwell projects as well as helping us get through both the start and end to our farming season each year, His passions include creating encapsulating videography, camping, playing almost every sport, and restoring our 1850’s farmhouse.